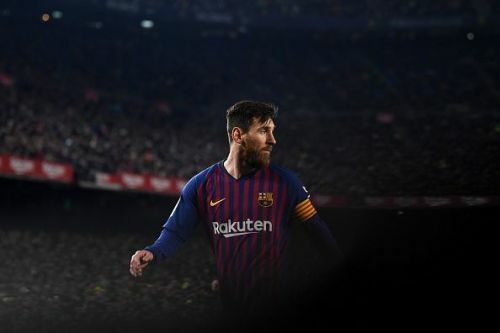 Barcelona president Josep Maria Bartomeu has opined that there is no replacement for captain Lionel Messi in the present and it is unlikely that there will be one to live up to the Argentine's achievements in the future. Reports of a new Barcelona contract for Messi have been doing the rounds lately as the five-time Ballon d'Or winner is edging closer to the twilight of his career. His current contract is set to expire in 2021. Bartomeu has expressed the club's desire to tie the Argentine down to another long-term contract despite the 31-year-old having shown a strong wish to end his career at boyhood club Newell's Old Boys. Last week, the club president claimed that the Argentine's relationship with the club will continue "forever" and confirmed that the club has begun work on a new contract for their captain. Bartomeu has now spoken about potential replacements for Messi adding that he hopes the Argentine ace will continue with the Catalan giants beyond 2021. Speaking to French publication 'Le Figaro' (via Sport English), he said, "Behind Messi, there is no one, not at Barça and not in any other place." "We're now thinking (about life after Messi), but that's in the distant future. He's a young player, he's 31 and he has two more years on his contract, but I think he will extend his career beyond 2021." However, Bartomeu admitted that the club does need to look at future stars who could fill Messi's shoes when he decides to hang up his boots. "Barcelona have to think about the young talent. [Jean Clair] Todibo, [Frenkie] de Jong, [Ousmane] Dembele and Arthur are really young players with a long-term future at the club. They will consolidate themselves here little by little." Barcelona will face Lyon in the much-awaited Champions League round of 16 tie later tonight.